Working out can be darned difficult, but it always pays off. Whether you’re doing cardio or strength exercises, you’re doing your body a favor. That’s why it’s important to optimize your workout routine to be the most efficient as possible, in order to reap maximum benefits. Juices can help. They provide you with plenty of energy, nutrients and electrolytes you need for proper exercise. That’s a natural performance enhancer! A good juice also helps post-workout, to help your body heal and relax. Ditch the sports drinks and enjoy the natural goodness of fresh juices – your body will thank you later! We generally don’t recommend strenuous exercise while on a juice cleanse, as calorie intake is usually minimal. Experienced juicers know their body limits, but novices could very well overstress their body. Electrolytes are very important for proper function of muscles and your body in general. Potassium, magnesium, zinc, and even trace amounts of salt are all present in juices to varying degrees, depending on the fruit used. Bananas are good for smoothies and juices thanks to their high potassium content. Orange-colored fruits and vegetables are the best for pre-workout. Beta-carotene is an excellent antioxidant which helps protect against exercise-induced damage and oxygen stress. Carrots are excellent for that. Add a dash of garlic and ginseng for best results. Believe it or not, garlic is said to increase stamina (and is a potent human repellent). Beetroot is great for increasing your oxygen uptake. It helps you exercise harder and for longer periods of time, thanks to nitrates in beetroot juice. Complex sugars found in fruit are a great source of energy, while adding some nuts ensures a steady release of fuel. And also don’t forget the dependable, trusty glass of water along with your juices. Stay away from caffeinated drinks, even if they help you achieve better performance. Caffeine causes your body to lose water excessively and bump up your heart rate. Both of these effects could be dangerous! Weight lifting requires the consumption of protein that will be used to build muscle mass. The conventional wisdom is to eat lean meat and consume the so-called protein shakes. A protein shake post-exercise is one of the best way of gaining muscle mass. Well, juices can help you do the same with natural nutrients and a dash of protein. Green-colored juices are the best source of protein. Various leafy greens such as kale and spinach provide lots of fiber and protein, making them the best choice. Asparagus is great too. For an extra protein punch, add chia or flax seeds. At least a half of juice content should be comprised of various leafy greens. That’s a lot of greens as they don’t produce much juice. For the other half, use bananas, apples, or oranges, with some ground or sprinkled seeds. There are several healthy juice options to take after a heavy exercise regime. While protein shakes and energy bars are a fine way of replenishing your energy stores after exercise, there are more natural options around. Just like before exercising, your body will be in need of electrolytes and, possibly, energy. Proper hydration is also a must, so anything you ingest should contain at least some of the aforementioned nutrients. Juices fit the bill completely! Light juices are the best for this. So pick simple recipes, and ensure that the juice will freshen you up. 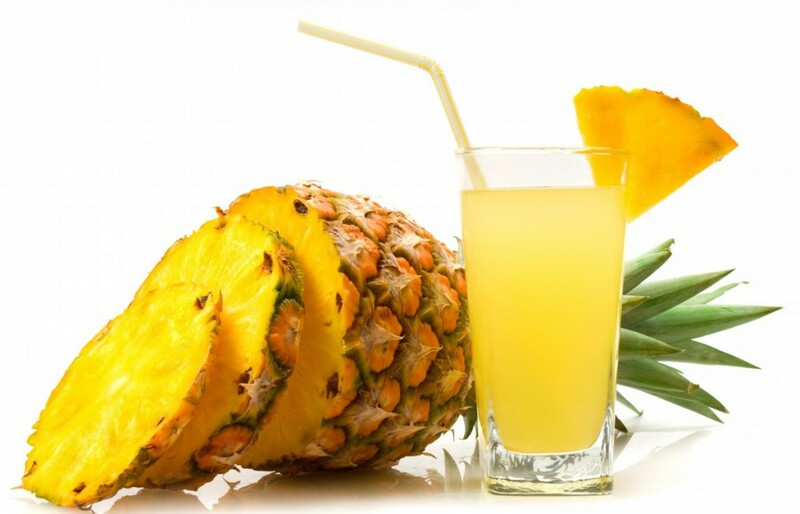 Some pineapple juice with a hint of celery and mint leaves is a panacea after a sweaty summer workout! 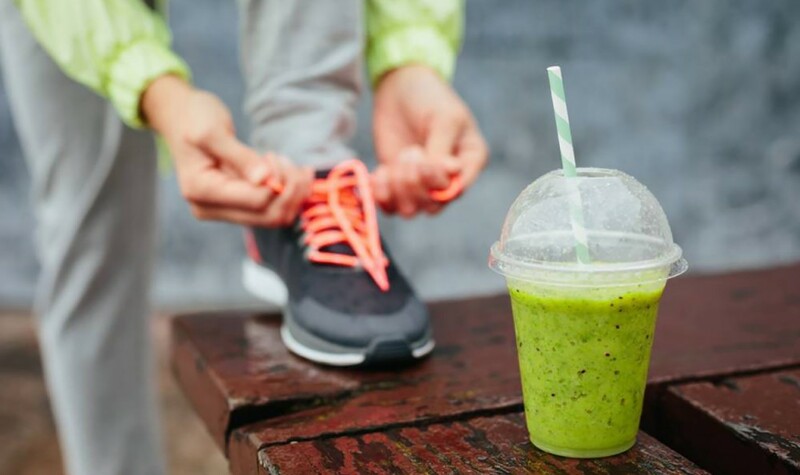 Some swear by green juices after a workout – that’s also fine, although we prefer something slightly lighter and tastier, akin to a (much healthier) sports drink. Watermelon juice also works wonders. High glycemic index juices like blackberry or raspberry juices are great if your energy needs are high. Don’t go overboard and overload on carbs after the workout, though. Read more about pre & post-workout nutrition! It’s best to prepare the pre- and post-workout juices at the same time, so you can come home to a nicely chilled juice right away. A few ice cubes can mellow the flavor if you find it too strong, while also refreshing you at the same time. Whatever you do, make sure your juices are either freshly squeezed or delivered to your door. Ensure that only organic ingredients are used, otherwise you run the risk of ingesting nasty pesticides – why take the chance?